Eyebrows frame the face and provide definition for other facial features. Sparse or barely visible brows can be restored or enhanced with the application of permanent cosmetics. Techniques can vary, from a soft powdery appearance to a more definitive color, or even individual hair strokes. The final result – brows that are perfectly shaped and in place all day, every day. Beautiful brows seem to “dress-up” a person. Balanced, full and well shaped brows are youthful and attractive; it is undeniable that we all want them! The eyes have been referred to as the “windows to the soul”. Permanent cosmetics can be applied for definition of the eyes that will remain unaffected by tears or allergies! A soft natural look can be achieved through a lash enhancement. 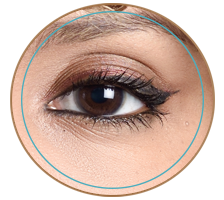 A more defined eyeliner look can be obtained with medium or thick pigment placement. The final results will be eyeliner that remains perfect from morning to night. Permanent cosmetics is the answer for lip definition, shape enhancement and color that always stays in place. Choices include: lipliner, lip shading (to achieve a fuller appearance) or fully colored lips to replace pale or undesirable natural coloring. When your lipstick is gone, the permanent cosmetic lip color will still be perfectly in place! A $50.00 Non-Refundable depost is due when booking any permanent makeup procedure. Although each person’s pain threshold is different, mostly clients experience a relatively pain-free procedure. Topical anesthetic is applied throughout the procedure to provide maximum comfort. Some people describe the process as a tingling sensation. Normally you can expect your permanent makeup to last approximately 5 years. Fading, over time is dependent on a variety of factors: sun exposure, environmental elements, smoking, or skin type. Touch up might be necessary to keep the color vibrant. Immediately after your procedure the pigment will appear dark, but will fade to a natural looking color as it heals, usually after 1 week – this is normal. Including the consultation, paperwork, and numbing time, the average length of time for one procedure is approximately 1-1/2 to 2 hours. The followup touch up usually is less than 1 hour. Most clients can return to work or resume their normal activies right away. There may be some redness and minimal swelling, but this will subside rather quickly. Some faint scabbing will occur over the week following your procedure but this is usually very minimal. Absolutely. Colors and shades can be custom-blended to match your conventional makeup. However, as a professional in the field, Debra may recommend a different color choice, based on a personal color analysis. Although the final color choice is yours, Debra normally recommends natural shades, as opposed to trendy colors. 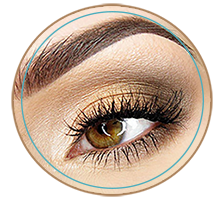 Providing permanent makeup since 1997 in Grand Junction, Colorado, servicing clients from all over Colorado including Mesa, Grand Mesa, Montrose, Gunnison, Telluride, Durango, Steamboat Springs Vail, Craig, Glenwood Springs, Meeker and Aspen .